As one of America’s most important missionaries, Junípero Serra is widely recognized as the founding father of California’s missions. It was for that work that he was canonized in 2015 by Pope Francis. 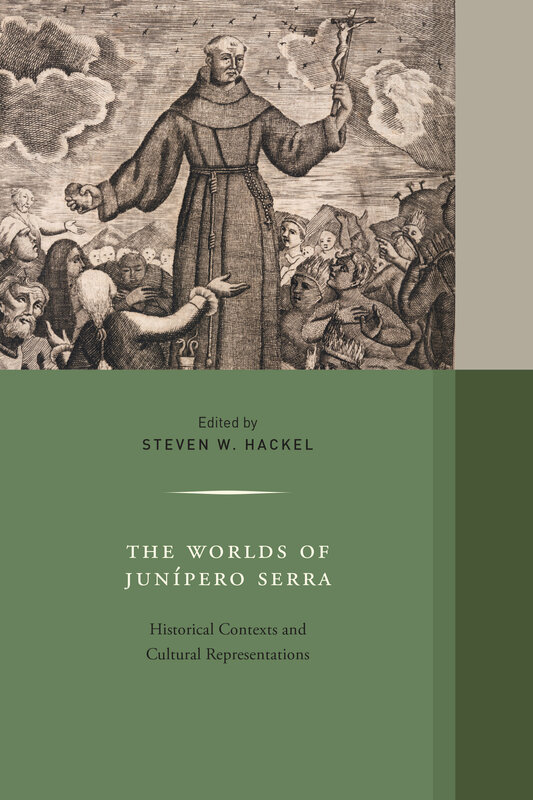 Less well known, however, is the degree to which Junípero Serra embodied the social, religious and artistic currents that shaped Spain and Mexico across the 18th century. Further, Serra’s reception in American culture in the 19th and 20th centuries has often been obscured by the controversies surrounding his treatment of California’s Indians. This volume situates Serra in the larger Spanish and Mexican contexts within which he lived, learned, and came of age. Offering a rare glimpse into Serra’s life, these essays capture the full complexity of cultural trends and developments that paved the way for this powerful missionary to become not only California’s most polarizing historical figure but also North America’s first Spanish colonial saint. Steven W. Hackel is Professor of History at the University of California, Riverside and the author of Junipero Serra: California’s Founding Father, Alta California, and Children of Coyote.